As the name indicates, it is a posh speaker. Every aspect of this speaker has been designed to provide the best sound and quality. Using 1” inch HDF wood to build a massive enclosure, to rounding and tapering the back of the enclosure. In addition to that massive build, a ¼ “stainless steel panels in order to further strengthen and deaden the enclosure. The Cross-over is constructed with a point to point silver soldering. Using the best, top of lth line Mundorf MCapR SUPREME Classic Silver-Gold.Oil is definitely the top-of-the-line model of the oil impregnated capacitors. 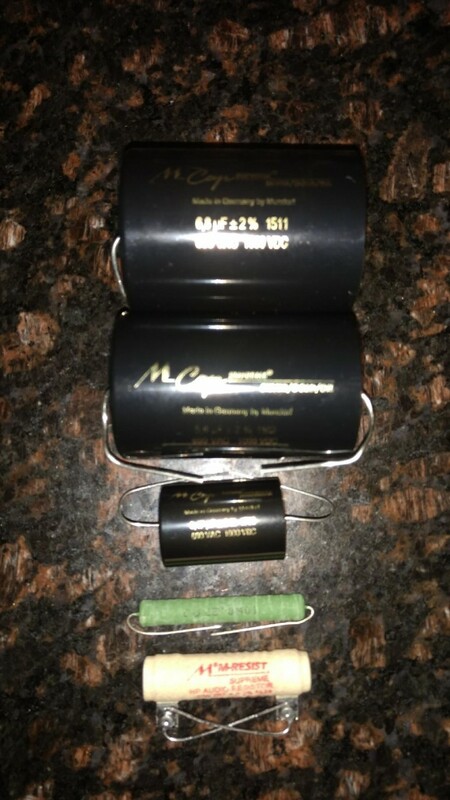 These capacitors feature a further extended lifetime. More importantly, sonically the SilverGold.Oil version stands out due to its wonderful natural singing and exceptional micro dynamic, incorporating the MResist SUPREME resistors features acoustic neutrality and music reproduction close to reality. 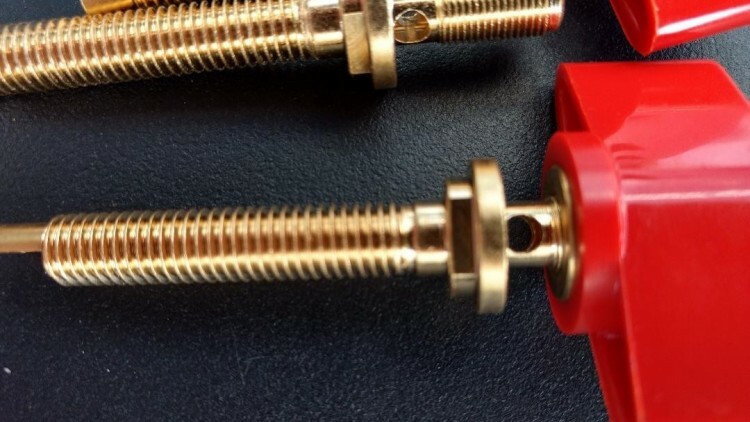 This is due to a special manually applied fire-resistant casting compound which optimally fixes and stabilizes the resistor winding thus protecting it against microphony effects. In order to maintain high sound quality even at high load. 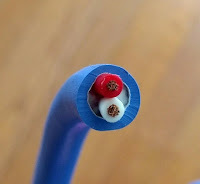 Furutech internal and exterior (connecting the tweeter and midrange to the woofers) wiring with gold plated connectors. 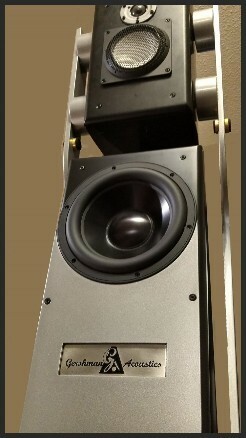 Two -8” Aluminum Alloy double magnet woofers (Gershman’s design) Feature aluminum cone on this driver is extremely rigid yet well damped, making the bass and midbass region very clean and low in distortion and able to produce a clean and tight bass response down to 19Hz. For best speaker cable connection, the Posh design incorporates top of the line, gold plated Mundorf binding posts through-out its design. We all know that loudspeaker enclosures are often responsible for coloration and Eli Gershman was well aware of this when he designed his very first model—the Gap. Since then, all Gershman enclosures have been shaped to minimize standing waves and the resulting resonance problems. Few loudspeaker designs can claim absolute damping of vibrations and resonances, though there are some that manage to reduce unwanted effects to some extent. Based on the Black Swans modle, The Posh loudspeakers are constructed with a totally new approach incorporating two entirely separate enclosures placed one above the other in such a manner that they blend seamlessly into one. 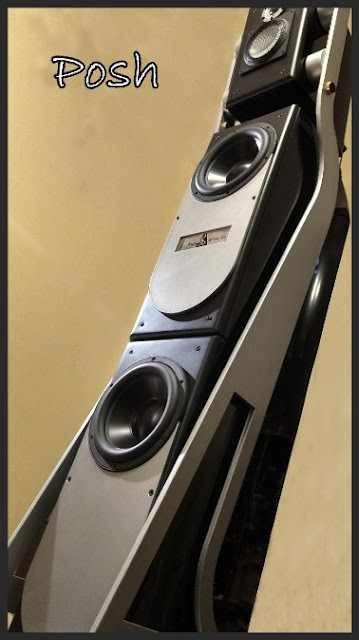 Each loudspeaker has a double woofer enclosure placed on a very impressively custom designed Tip toes, and an A-shaped enclosure suspended above it by two Solid Steel structures, one on each side to suspend and completely separate the midrange and tweeter enclosure. layered extensions, held in place with another set of metal cones. When placed appropriately, the loudspeaker looks complete as one cabinet. Each loudspeaker is finished on all sides in high-gloss lacquer—a piano finish—and can’t be missed, even by casual observers. The loudspeakers’ standard finish is black, but they can be ordered in any color.